The Dinosaur Center located in Thermopolis, Wyoming is one of the few museums in the world, to have excavation sites within a short driving distance. Established in 1995, this world class facility displays, one of the largest and unequaled fossil collections in the world. The Dinosaur Center can be found a short distance from Thermopolis, Greek for Hot City, home to numerous natural hot springs, which are mineral laden and heated by the geothermal process. 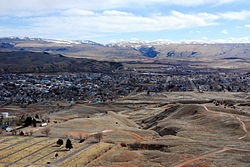 Thermopolis viewed from Roundtop Mountain. Thermopolis has claimed to possess the world’s largest mineral hot spring, called The Big Spring. It is part of Wyoming’s Hot Springs State Park. The springs are open to the public for free, as part of an 1896 treaty signed with the Arapaho and Shoshone Indian tribes. Many travelers consider the area to be the Gateway to Yellowstone Country. 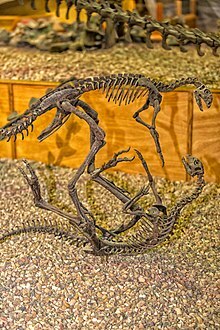 With close to 50 mounted skeletons and hundreds of displays and dioramas, the Wyoming Dinosaur Center not only educates the visitor, but will also capture the imagination of all age groups. It helps travelers revisit a time, when dinosaurs dominated the earth, which they did for some 160 million years. The dig sites of the Dinosaur Center of Wyoming, found at Warm Springs Ranch, has some of the richest fossil bearing strata, in the western part of the United States. These were first discovered in 1993. Their very abundance led to the formation of a renowned museum, ongoing dig sites, a complete preparation laboratory and a spectacular gift shop. This treasure for paleontologists came about, when fossil hunters were walking around the antediluvian rolling hills of Thermopolis, Wyoming. They soon discovered a variety of dinosaur bones,simply weathering out of the mountainsides. Since that time, more than 10,000 bones have been revealed and excavated. Most of them are either on display or stored at the museum. Among the most notable of the fossil collections, is from the Something Interesting or SI excavation site. It provides tourists a rare occurrence of both dinosaur trace fossils and body fossils. This includes footprints of many Sauropods and Allosaurus. 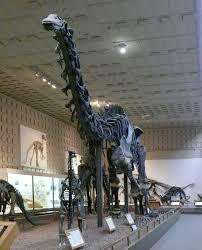 There are also skeletal remains from Apatosaurus, Camarasaurus and Diplodocus. These are three of the Sauropods, most commonly found in the Late Jurassic period. An important find, was the fossils consisting of a young 30 foot long Camarasaurus that was scavenged by a number of Allosaurs. This has been determined by the presence of both claw and teeth marks on numerous bones belonging to the juvenile. Supporting this theory, is an accumulation of over 100 teeth that belong to Allosaurs, found among the the bone debris. Debra Jennings conducting research in 2006, determined the bones in the area, were accumulated when the site was part of a shallow alkaline lake. Jennings made a further observation, that there are at least two separate layers of bone nearing material, created as the lake shrank and expanded over time, as the surrounding environment underwent change. The Dinosaur Museum provides visitors a journey through history. The Walk Thru Time allows travelers, to trace the most widely scientifically accepted origins, of more complex life here on Earth. 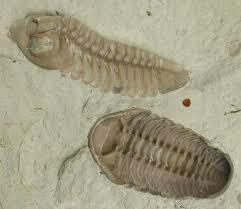 One can observe the rise of the arthropods and the mass expiration of the trilobites. There are early fish to see, including the Coelacanth, who is subscribed to be the predecessor of land vertebrates. Following that, there are some early examples of vertebrates. This entire period comprises three quarters of the time, that there has been life on the planet. Next the visitor arrives at the Hall of Dinosaurs. It is here where one can find the Supersaurus named Jimbo, one of the largest dinosaurs every mounted. The replica skeleton on display is 106 feet long and is the first mount based on data, from the second and most complete Supersaurus ever found. 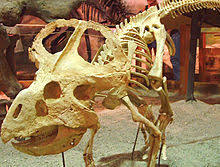 Jimbo was excavated from a quarry near Douglas, Wyoming and was donated to the Dinosaur museum in 2003. One of the acquisitions to the museum is the almost 90% complete, composite skeleton of a Camarasaurus found on the property, by the staff and visitors. It had been excavated over the past 20 years. 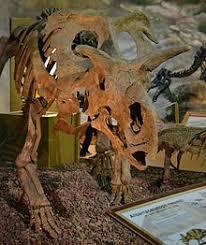 Visitors will find Medusaceratops as well as various examples of Hadrosaurs and Stegosaurs. There is also Stan a 35 foot T-Rex charging a Triceratops. Included in the collection, is the only known Archaeopteryx known to exist, outside of Europe. It has been given the moniker The Thermopolis Specimen. It is the best preserved and most complete remains of the species to date. Most of the twelve specimens of Archaeopteryx in existence, include impressions of feathers. As a result, it makes the species a prime candidate, for a transitional fossil between birds and dinosaurs. There is also a collection of real and replica marine reptiles, as well as flying reptiles. An impressive assemblage of pre-Mesozoic fossils, Devonian fish and invertebrates are also on display. The museum contains a fully functional preparation lab. Both staff and visitors can be observed cleaning, preserving and repairing fossils. This is not only for those found on the property, but from other parts of the United States. The Wyoming Dinosaur Center offers a number of programs that allow visitors, to participate in the excavation of fossils. Beginning in the middle of May, the Dig For A Day program begins. Digging starts at 8:00 am and ends at 5:00 pm, seven days a week. Weather permitting, tourists can help find fossils through mid-September. Throughout the summer, many dates are available for the Kids’ Dig. Children aged 8 through 12, can learn the many different aspects of ongoing work at the Dinosaur Center. In addition to excavation, there is lab work, which includes casting and molding. Other programs include Dinosaur Academy, Paleo Prep Program and a number of Senior Activities. The Dinosaur Center is located in northwest Wyoming. It can be found about 220 miles southeast from Yellowstone National Park. It will take about 3 hours to complete the trip traveling on WY-120.